Mixing vocals is the hardest part of mixing and I used to struggle with it. The more instruments in the band, the harder it was to keep the lead vocal on top. And when I would mix an acapella singer, let's just say my skills weren't up to the task. I've been there, but I'm not there anymore. After your next service, imagine people saying, "The worship leader sounded great today." Or, "the worship time was wonderful - I'm not sure what was different but I loved it." Mixing vocals can soon be an easy part of your mix work. And this goes for both lead and backing vocals. It's time to take your vocal mixing to the next level with The Complete Guide To Mixing Vocals. Discover how to take your vocal mixes to the next level and beyond. This guide walks you through every step of vocal mixing, from before you walk in the door (yes, it starts that early) to mixing during the service. Learn how to produce lead vocals that sound clear, rise above the instruments, and blend with the music. Mixing vocals without music? No problem, that's covered as well. Easily learn technical concepts and why they matter. For example, you’ll learn the five characteristics of a microphone and how they contribute to the quality of the vocals sent to the mixing board. Find out the steps for blending backing vocals that sound like a cohesive unit and sit in just the right spot in the mix for each song. Discover the best methods for using EQ and effects with suggested starting points for everything from EQ tweaks to compression settings. Learn the crucial work that occurs before touching an EQ knob. This enables you to create a high-quality professional-level music mix. I'd been mixing for a couple of years but my vocal mixing only extended to two people with good voices, so I thought mixing vocals was easy. Then Kevin walked in the door and I was humbled. Imagine a cross between...well, let's just say it wasn't easy to mix. I knew he had a voice that could sound great if I could just mix it right. I tried tweaking the EQ in the same way I'd mixed the other vocalists. It didn't work! After months and months of effort, I finally discovered the right way to mix his vocal - and it was counter to everything I knew. If I knew then what I know now, it would have been so different. Today, I'm not worried about who might step behind a microphone because I know I'll be able to mix them with great success. And I poured all that knowledge into this guide so you can be successful as well! Each chapter, in this 31-chapter ebook, details exactly what you need to know, why you need to know it, and how you can apply it. You'll develop confidence in mixing vocals. A step-by-step guide where I walk you through everything from microphone selection to mixing monitors to mixing lead and backing vocals. In-depth section on using eight types of effects. Includes recommended settings and tricks of the trade. The process for cleaning up vocals before you should mix them. So many people miss this step. Chapter assignments to apply the chapter's content to your unique situation. And chapter quizzes for re-enforcing the material – this does work! The ability to stand behind the mixer and know, "yes, I can mix great vocals." The complete guide to mixing the pastor or any other speaker so they sound the best. Everything you need to create an amazing-sounding choir with tips most techs never consider. All the important frequencies, effects settings, and other tricks to save you time. Discover the process every sound tech should follow to get the most from your microphones. Every critical step to great vocal mixing all in one place. Follow the checklist so the vocalists get exactly what they need so they sing their best. See all the frequency areas that can hurt or help your vocalists – a great visual guide for easier mixing decisions. No matter what level you are currently at, this book is worth the investment. Chris has a perfect writing style for teaching and as such this book has some of the most useful explanations and exercises to improve your vocal mixing. Your guide is very awesome and spot on. I will promote it to my volunteers and encourage them to buy a copy for sure. I just finished the entire guide earlier this week. It proved to be a great resource for me and it will definitely be my go-to reference when dealing with vocal refinement in my approach to mixing vocals in our church. I have always felt that I could use more insights into getting a better sound out of the vocals but had little to go on other than trial and error, especially when it comes to using effects to minimize weaknesses within our background singer ranks. So your Essentials for Vocals was a godsend for me. Thank you for creating a wonderful reference. Ever feel frustrated with your vocal mix? You know it should sound better but you can't quite get there. Those days are over. This guide enables you to create great-sounding vocals through stage work, monitor work, and the active vocal mix work itself. A common problem with vocal mixes is they sound muddy. There is a solution for this and you'll find out exactly what you can do to create clear vocals, devoid of muddiness. Don't worry about the type of equipment you have. It doesn't matter if you run an analog mixer or a digital mixer, have old wired microphones or new digital wireless headsets, because you'll learn what to do with what you have. Finally, if you already own Audio Essentials for Church Sound and wonder if this same material is covered then the answer is, "not to this level." That guide provides an excellent start to mixing but this guide goes far beyond that regarding vocals. Every brand and model of microphone is different and vocal mixing starts with selecting the right microphone. Even if your church only has one microphone model, knowing its properties will help you determine how your singers frequencies are being presented to you. Learn how each microphone make and model alters frequencies differently and why your singer might be using the worst mic for their voice. Discover how to eliminate feedback problems by switching to a microphone with a different polar pattern. Learn if the price of a microphone really relates to how good it sounds. Vocalists sing their best when they have exactly what they need in their monitor mix. This section covers using the different types of monitors, monitor placement, personal monitor mix training, and monitor mixing itself. Find out how the right monitor placement can reduce stage noise. Learn the channels that go into creating the best monitor mix for a vocalist. Learn what to watch for on stage for signs of monitor problems and what to do about them. A vocal shouldn't be mixed until the singer's vocal properties are understood. This section covers all of these important properties and how each one contributes to your mix decisions. Learn if gender-based vocal mixing is good or bad. Should you always cut the lows for female singers? Discover what happens when a vocalist sings out of range and how your mix needs to change. Learn how timbre considerations are a critical part of mixing and how to find out the frequency properties of each vocalist. Mixing a good vocal requires knowledge of how the vocal will be used in the song as well as several other factors that can't be ignored. Once these factors are considered, the requirements of your specific vocal mixing becomes clear. Find out how backing vocals should be mixed like an instrument. Learn how the size of a room could affect your mix and what to do about it. Learn how each congregation can have different expectations on the vocals and how to meet them. It's the step most audio techs skip, cleaning up the vocal channels before they move to boosting frequencies and adding effects. You'll learn why this is the time to set a baseline volume and exactly how to clean up vocals. Learn why adding compression early in the mix process might be the best thing for you. Discover the simple step to finding the harsh vocal frequencies and eliminating them. Discover how a cut in one frequency area can clear up frequencies in another area. Everything comes together in this section where the real mix work begins. From blending backing vocals to lead mixing with effects, you'll soon create the best vocal mixes you've ever had. Learn how to sculpt a vocal and when to add effects that enhance the mix. Discover how instruments can blur the vocals and how to fix it. Find out the ways to deal with problematic vocals. Effects usage is detailed within the previous sections but if you're using an effect for the first time, turn to this section that explains how to use each one. Discover the ways reverb can affect a vocal and why the wrong type of reverb will kill a vocal mix. Learn how to set a gate and how to avoid gating problems. Find out how distorting a vocal can produce frequencies that help it cut through the mix. 31 chapters of vocal mixing essentials - everything an audio engineer should know. The step-by-step process to create great lead and backing vocal mixes. The keys to creating lead vocals that rise above the instruments while still blending with the music. 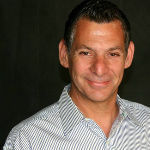 The 7 bonus documents ($40 Value) that includes the two free guides. Over 110 pages of essential vocal mixing instruction, instantly available. Plus, you can EMAIL me if you have questions! If you’re not 100% satisfied with The Complete Guide to Mixing Vocals then I’ll refund your money. No surprises in fine print. 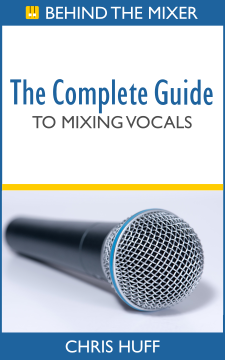 I’m that confident this guide will help you skyrocket your vocal mixing skills. The Complete Guide to Mixing Vocals has everything you need to create great vocal mixes. Additionally, you get the 7 bonuses including The Spoken Word Mixing Guide and the checklists and cheat sheets. The checklists alone will advance your vocal mixing. Get the guide today and I guarantee you’ll have better vocal mixes by next weekend. For over 20 years, Chris Huff has been working in live sound in roles varying from sound tech to church technical director. He's written the top-selling guide, Audio Essentials for Church Sound, and has co-authored Equipping Your Church for Audio with Brian Gowing. 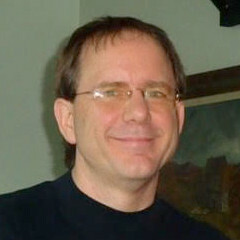 He writes for pro audio trade publications including Church Production Magazine and Live Sound International. 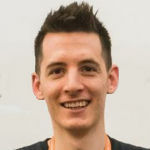 His church audio site, behindthemixer.com, has an international following and is used for teaching live audio production while navigating the unique church environment.